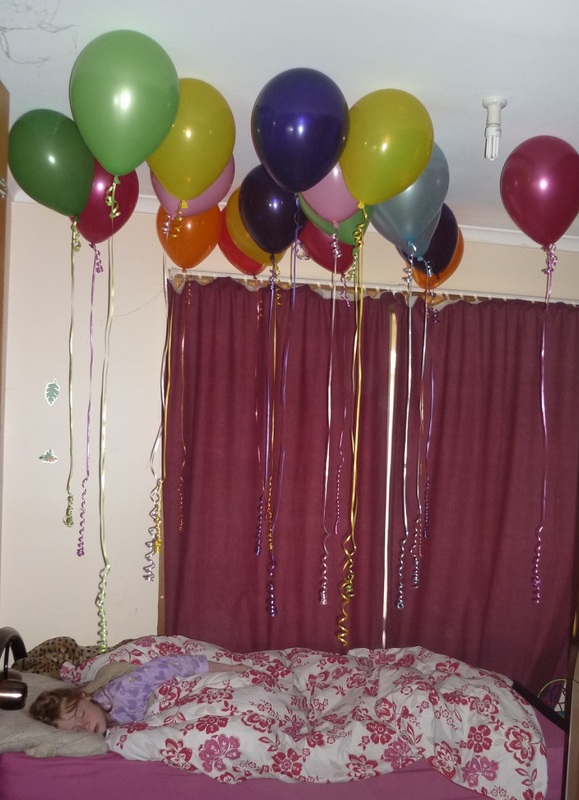 Yesterday was my daughters 8th birthday and I started her day with an awesome surprise. I filled (well not quite filled lol ) her bedroom with helium balloons while she slept. These balloons have given hours of entertainment to all the kids, even Miss L (3 months old) loves them! Unfortunately it was a school day so she had to go to school but her grandma picked her (and master L) up at the end of the day and brought them home with doughnuts for afternoon tea. YUM YUM! Love the balloons...time goes so fast as mums. Looks like the birthday girl would have had a great day.